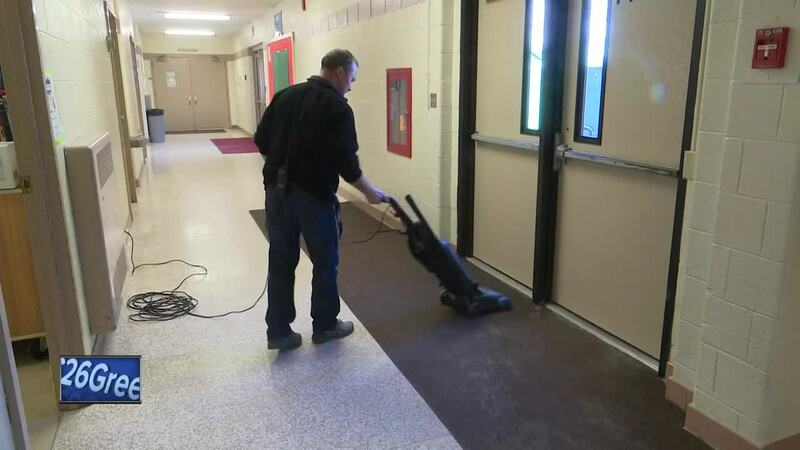 GREEN BAY, Wis. — Over 700 students and staff voted on a Green Bay custodian to be a national contestant for Custodian of the Year. Micah Bootz works at Sullivan Elementary School has been named a Top 10 finalist. Students say Mr. Bootz cares for students. He keeps up with the changing weather, like keeping icy sidewalks at bay. He even helps teachers by picking up extra school supplies. The contest honors and recognizes those who truly rule the school and are hardworking individuals. He's the only one from green bay among the top ten. If Bootz wins he'll receive five thousand dollars and Sullivan Elementary will receive five thousand dollars in Cintas and Rubbermaid products.